With over 1 million active users and more than 400 million snaps a day, Snapchat has turned from a simple photo and video-sharing tool into a real marketing tool that can’t be ignored anymore. Although most people see Snapchat as a purely social application, it carries many business benefits and opportunities to pass original messages as well. The very specific characteristics of the audience and the self-destructiveness of the photos after a few seconds are two major points that can’t be overseen. Before you start using Snapchat in your marketing mix, you should ask yourself if the demographics of the Snapchat-users fit the audience of your product/service. 56% of the Snapchat-users worldwide are between 18 and 34 years old according to ComScore, but in reality, the age of Snapchat-users is even lower because the group of 13-17-year-old teens hasn’t been included. If you don’t sell to the under 34-age group or under 25, including Snapchat in your marketing mix is not worth the time and money; yet. 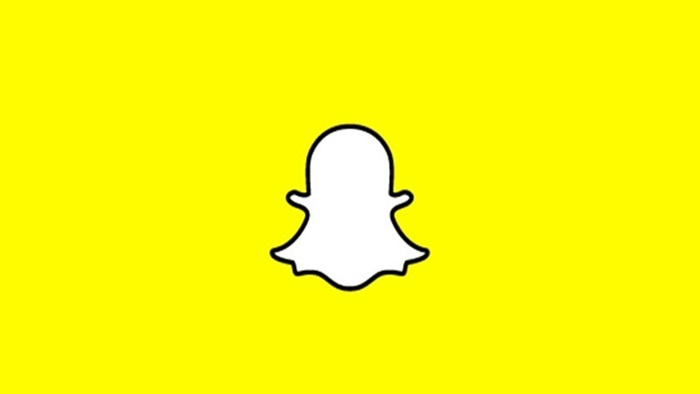 According to Snapchat, 12% of its almost 50 million daily users in the U.S. are between 35 and 54. In the future this may increase advertising opportunities, but in the meantime, Snapchat’s target audience lies in the millennial market. The short life of a few seconds of a video or photo on Snapchat means that marketers need to take advantage of every second they get on the app, which requires a certain amount of strategy and training. To grab your customer’s attention and effectively deliver your message, you need to sit down and think about what you are going to present them. Some people will look at this self-destructiveness as a complication, but this time-limit can also be used in its favour. Because of the limited exposure time of the snap and the impossibility to watch the snaps over and over, customers will pay more attention watching your content. The time limit also offers a variety of creative and innovative possibilities to publish content and engage with their clients. 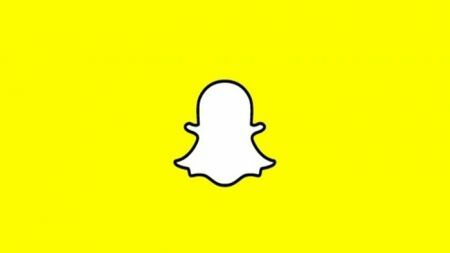 There are plenty of reasons why Snapchat can help your business to grow and engage with your customers, but we highlight this top 7 for you. Teasers on Snapchat of events, new products or ideas can create a buzz by making customers already excited and get people talking about your event, new products and your brand before the official launch. 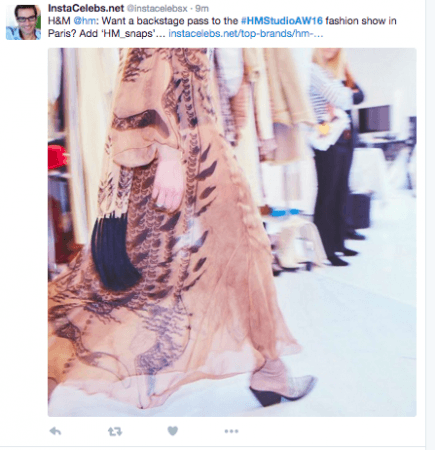 Clothing brand, H&M gives its Snapchat followers the opportunity to get some sneak previews and the opportunity to get a backstage pass for the Studio Awards 2016. 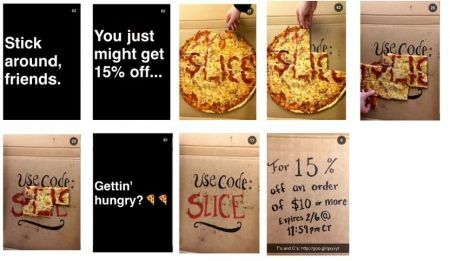 By offering promotion coupons or promotion codes via Snapchat, you can give your customers something to come back to your channel. You can ask customers to take a screenshot of the coupon, to only open the snap in the store because after a few seconds the promotion coupon will disappear, tell them you will give a promotion code to the customers who watch your whole Snapchat story, etc. You can also hold contests and give away prizes by asking your customers to send snaps to their friends holding or using your product or you can even set up a real scavenger hunt with prizes at the end. GrubHub uses snaps with disappearing pizza slices to get a promotion offer at the end. USA Network developed a two-day SDCC Snapchat scavenger hunt, where participants could win an exclusive chance to meet DIG’s creator, Tim Kring, at a private meet and greet session. Snapchat is perfect for real-time social media marketing because it can give your audience direct access to live events. You can use it for trade shows, product launches, one-time events like the 1000th customer or even bigger event where your brand may be sponsoring, like sport or music events. 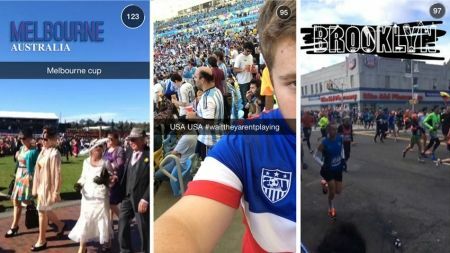 Through Snapchats, followers could watch sports events like the Melbourne Cup, or music events like the American Music Awards, even if they were not physically there. 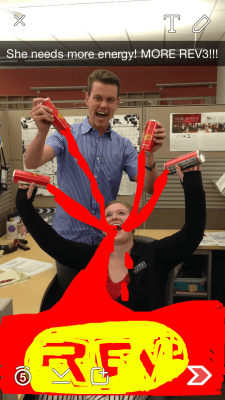 USANA Health Sciences takes you behind the curtain and shows you about their work culture, workflow, employees,…As Snapchat messages are supposed to be funny and creative, they use this as an opportunity to humour their followers. 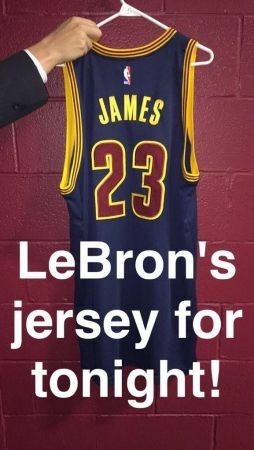 Professional basketball player James Le Bron’s team already gives his fans a sneak preview of the game later that night like he jersey he is going to wear. 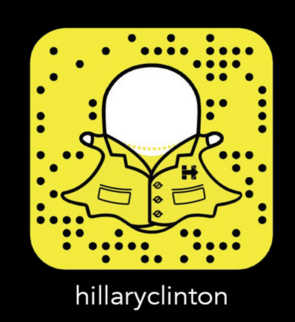 2016 is already set to be the first ‘Snapchat election’ in the US. All the election candidates have their own ‘snapcodes’ so audiences can see behind the scenes in real time. In this way, they aim to reach the 18 to 31 age voters. Snapchat filters are essentially stickers, frames, and images that can be put over your image. 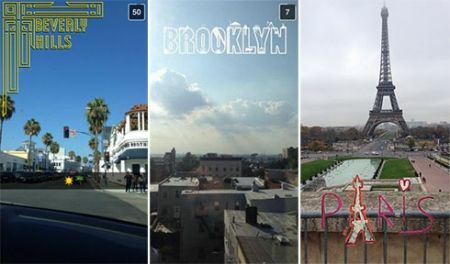 It all started with some cool filters created by Snapchat to make our pictures more fun, especially with location filters – these location filters change depending on the place you are. 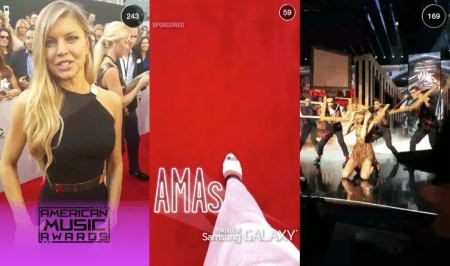 Nowadays Snapchat is helping brands to create their presence on their platform. Everybody can create and buy his own geo-filter. To find out how this works exactly, you can go to snapchat’s blog. 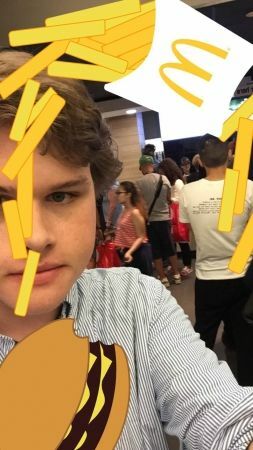 Brands such as McDonald’s are adding personalised filters you can add to your snaps every time you are at McDonald’s. They’re branding our content, and we’re helping them share it. This is a subtle and smart way to engage with customers, create brand awareness and have almost free publicity. Below you can see some examples of the location filters that change depending on your location. 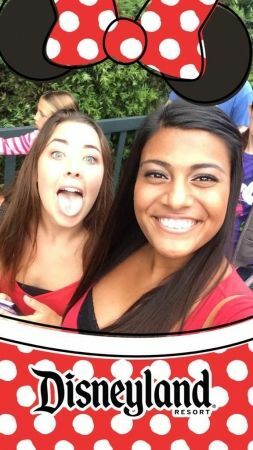 Another example of a geo-filter: Disneyland. Every time you open Snapchat at Disney, you can add some cool Disney filters to your pictures. 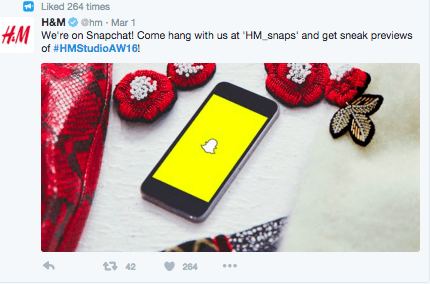 For some brands, Snapchat isn’t worth the time and money as their target audience is not represented on this social media platform. For others, Snapchat is the place to be nowadays to reach millennial and create a strong brand engagement. If you would like some help to introduce Snapchat in your marketing mix, you can always contact agencies with digital communication skills such as BlackNinja.